We are amongst the leading organizations offering a wide gamut of Promotional Cotton Bags to our esteemed clients. These promotional cotton bags are manufactured using quality-assured raw material, procured from trusted sources of the market. 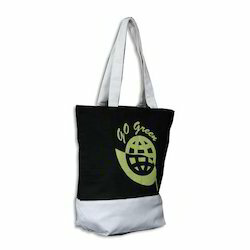 These promotional cotton bags are offered by us at competitive market rates. Available Colors: White, Blue, Red etc. 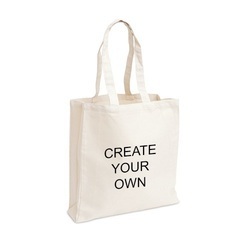 Specifications Size: 16" x 13" + 4.5"
Our expertise lies in offering Cotton Promotional Bags that are meant for advertising, promotion and marketing of various companies. The Cotton Promotional Bags that we offer are marked by supreme quality and good printing. Quality being the sole aim, we offer an extensive array of Cotton Promotional Bag that ensures smooth texture and are delivered with vibrant shades. This superior make bag is highly appreciated for its renowned attributes and cost effectiveness.